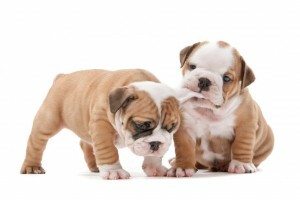 2 Why caravan with your pets? A caravan is a great way of kicking back and getting away from it all, either in this country or abroad. Whether you are exploring new places or looking for a spot of relaxation, a caravan not only fits the bill very well, but has everything you need and all your home creature comforts too. These creature comforts might quite literally include your pet or pets, of course, and with a little forethought and preparation there is generally no reason why those important members of your family should not come along too. finding a pet friendly campsite. When friends and seasoned campers tell you that a caravanning holiday is for all the family, therefore, you might be comforted to know that this includes your pets too. Finally, while this information is correct at the time of writing (July 2017), please do check that legislation hasn’t changed in relation to pet passports, quarantine and other pet-travel related matters if you decide to take your pet on your caravan holiday. Why caravan with your pets? Well, to be fair, it might be difficult to know just how much your pet shares your ambition for seeing new places, relaxing in a different environment, or touring the countryside at home or abroad. If one thing is certain, however, it is that your pet or pets like it best when they are near you – that is part of the relationship and the bond that has built up between you. A caravan, of course, provides a mini home away from home. And just as you welcome the chance to make yourself at home on holiday, your pets may find the caravan the perfect environment in which to do that too. The alternative, after all, is unlikely to be ideal for either you or your pet, since it is likely to mean leaving your pet with friends or relations or paying for accommodation in kennels or at a cattery. The website Next Gen Dog suggests how dogs might react to being left at home or boarded out whilst you go away to enjoy your holiday – but they are almost certain to make it perfectly clear how pleased they are when you return home. There are times of course when you might need to question just why you want to take your pet on holiday with you in your caravan. You might want to ask yourself whether it is out of any selfish wish on your own part and might not be in the best interests of the animal itself. a young puppy whose barking or yelping the whole time might prove a nuisance to other caravanners at your chosen campsite. It is impossible to set specific rules. You are probably the best judge about the adaptability of your pet, just how much they may be able to make themselves at home in your caravan, and the extent to which they might either charm or annoy your fellow campers. In relatively recent years, it has become possible to take your pet with you even when travelling abroad and be allowed to return with it to the UK without the need for quarantine – which may last for up to four months in quarantine accommodation for which you must pay. In order to avoid the need for such quarantine and to allow your movement in and out of the UK with your pet, a special pet passport is required – the PETS passport scheme operated by the Department for Environment, Food and Rural Affairs (Defra). The scheme covers certain pets only and the rules differ according to whether you are travelling to countries within the UK or those which are further afield. The pets that qualify for free movement under Defra’s rules are limited to pet dogs, cats and ferrets – on condition that the animal is not to be sold or re-homed on your return to the UK. Provided you are returning to the UK from another EU country, you may bring with you any pet rabbit, rodent, bird, ornamental fish, invertebrate, amphibian or reptile without restriction. If you want to enter or re-enter the UK from a country outside the UK, however, any pet rabbit or rodent must be quarantined for four months and have a rabies import licence. No squirrels or other non-domestic rodents can be brought into the UK from sub-Saharan Africa. Under Defra rules, you may enter or re-enter the UK with up to a maximum of five pets – unless your travel is for the purpose of showing or some other event, in which case additional rules apply. 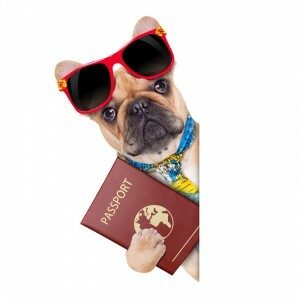 Before setting out on your travels, you need to obtain your pet passport by visiting a suitably qualified vet in the UK. details of the vet responsible for completing and issuing the passport. If you pet passport is for a dog, the vet also needs to complete details relating to treatment it has received for tapeworm. if travelling to certain (so-called “listed” countries) you may need to sign a declaration confirming that you are not intending to sell or transfer ownership of the animal. All these documents, together, with your pet passport need to be taken with you whilst you are travelling with your pet. It might sound like a lot of work to prepare yourself and your pet for a straight forward caravanning trip to Europe, but once you have obtained your pet passport, you may rest assured that it remains valid for as long as the animal continues to meet the entry and re-entry requirements within the EU and listed countries. Just like people, some animals might be more comfortable and relaxed when travelling than others. It is important to know into which category your particular pet falls before deciding to travel – or indeed before choosing to take the animal on your next caravanning holiday. No pet is likely to feel comfortable travelling on its own inside the caravan being towed behind your car and neither is it likely to be a safe way for it to travel. This means you need to make suitable arrangements for it to travel with you inside the car. Safety of all of the occupants of your car – your pet and its human passengers too – is paramount. You need to make sure, therefore, that your pet is unable to distract or otherwise occupy the driver of the vehicle. Some pets may be sufficiently seasoned travellers that they know to stay on the back seat or floor of the car, whilst others may need to be restrained – either by a harness or in a travelling box. Of course, these are some of the essential things to learn before you embark on the caravanning holiday itself. Get to know how your pet takes to travelling in the car by doing several practice, familiarisation journeys beforehand – it may save both you and your pet a great deal of the kind of stress you can do without at the start of a holiday. Familiarisation routines – suggested by the website Safer Pets – including playing with and fondling your pet in the stationary car, feeding it there, and steadily increasing the length of the journeys made. Just as young children may suffer from car or motion sickness, so too might your pet. Clearly, it is important to be aware of this beforehand in order to avoid unpleasant accidents and a discussion with your vet might identify any remedies that are available. If carsickness is likely to be a problem, it is going to be sensible to delay feeding until you have stopped for a longish rest break or until you have actually reached your destination. Water, on the other hand, always needs to be available for the animal to drink. Planning your route, therefore, needs to take into account the need for regular rest breaks – both for you and your pet – to eat, drink and answer the calls of nature. At each of these stops – and before setting out from home – you might want to exercise your pet and so encourage it to relieve itself, tire itself out a little and be ready to rest or sleep when the journey resumes. If you are travelling with a pet, remember that cars can get dangerously hot in a matter of minutes. So if you and your family stop for a drink or bite to eat at a service station, take your pet with you. As this article sadly highlights, cars can get very hot, very quickly, even when parked in the shade with the windows opened. First aid is just as critical for your pet as to any other victim if it is involved in a road traffic accident. It may be a wise precaution to establish just what needs to be done and what first aid you might give in order to prevent further injury or prevent the death of your pet. The website National Great Dane Rescue offers some useful tips and advice about what to do in such a situation. You have decided that a caravan holiday might suit your pet and that it is comfortable travelling with you. You have taken every precaution to ensure that all passengers, including your pet, may travel safely. But there is always the possibility of an accident, injury or sickness to your pet. 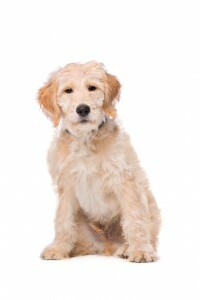 Therefore, appropriate pet insurance is likely to be an important consideration. does the policy extend to travel outside the UK. Since you are caravanning with your pet, you also need to make sure that you have adequate caravan insurance. This is our speciality here at Cover4Caravans, of course, and we are happy to make sure that your needs and requirements are matched to suitable insurance policies. Vehicle breakdowns are a stressful time for the driver and passengers, but may become even more fraught if it is only when one happens that you discover the roadside assistance has restrictions on the recovery or towing of cars with pets on board. You might want to check that any roadside assistance and breakdown insurance you have, therefore, accommodates both you and your pet’s needs. Wherever you are going with your pet and caravan in tow, remember that it is entirely up to any campsite owner whether or not you are allowed to bring your pet with you. This goes not only for the UK but throughout Europe, too. Indeed, as far as Europe is concerned you need to establish whether your pet – a dog in particular – is allowed in the country at all, and if, so whether any special conditions are attached. Each country is likely to have its own rules on the breeds of dog allowed. The Camping and Caravanning Club, for instance, points out that in France certain dogs are banned altogether and others must be muzzled and kept on a lead in public places such as caravan sites. Those that are banned from entering the country include non-pedigree Staffordshire bull-terriers, American Staffordshire bull-terriers (“pit-bulls”), mastiffs, tosas and doques de Bordeaux, all of which are classified under French law as “attack” dogs. So-called “guard dogs” – which include pedigree Staffordshire bull-terriers, American Staffordshire bull-terriers, tosas, and rottweilers – must be kept muzzled, on a leash and under the supervision of an adult at all times. Subject to any national laws or regulations on the entry into the country of your pet and the manner in which it needs to be controlled, a number of campsites for caravans permit pets – most notably dogs. There may again be restrictions on the size of the pet, its breed, areas of the campsite in which it may be exercised and whether it needs to be kept on a lead (which is likely to be in all but the most exceptional of cases). that you clean up after it. With these basic rules in mind, there are a number of online directories available where you may search for pet or dog friendly caravan and camping sites. The major directory for campsites throughout the UK, Europe and the United States, Pitch UP, for example, offers a searchable database with a filter for sites where dogs are allowed. An alternative searchable directory for dog-friendly sites throughout the UK and Europe is called Bring Fido. The chances are that your pet is very much a part of the family. Rather than leave it pining away at home when you next set out on your caravanning holiday, therefore, you might well want to make sure that the family pet comes with you – otherwise, the edge might be taken off the holiday if you find yourself missing the dog or cat and are constantly worrying about the animal missing you just as much too. Provided you are confident that the animal is fit to travel with you there are a number of good reasons for a holiday in your caravan with your pets. Pet passports have these days made it considerably easier to take your pet with you when you travel abroad – especially if that is within the EU or certain other countries listed by the Department of Environment, Food and Rural Affairs (Defra). With a little forethought, preparation and familiarisation you may also make sure that any journey is undertaken safely – with pet insurance in place if the worst comes to the worst. Thanks to the internet and readily searchable directories, you may easily identify the most per friendly caravan sites.